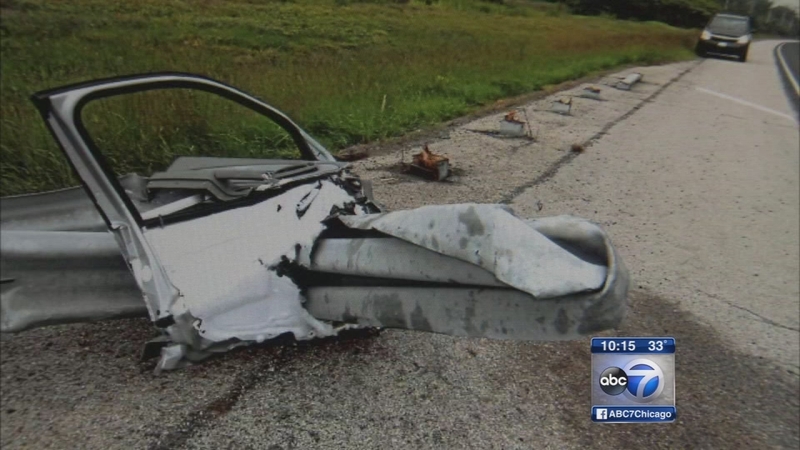 CHICAGO (WLS) -- A federal criminal investigation is reported to be underway into a controversial guardrail system used on highways across the nation. The ET-plus is meant to absorb the impact of a vehicle that hits head on. But some victims say it malfunctions and is the cause of dozens of injuries and deaths. The ABC7 I-Team revealed last November that the system in question is scattered across Illinois roadways but state transportation officials say they don't know where the estimated 22-thousand questionable guardrails are located. Agents from the Boston offices of the FBI and the Department of Transportation Inspector General have been interviewing potential witnesses and have subpoenaed documents related to the activities of the guardrail maker, Trinity Industries of Texas, and its dealings with state and federal highway officials, individuals familiar with the probe told ABC News. A company spokesperson, Jeff Eller, told ABC News that it had not been contacted by the Department of Justice, however, "Should they do so, we will respond openly to all requests for information." Officials for Federal Highway Administration, the embattled Department of Transportation agency at the center of the guardrail issue, declined to comment to ABC News on the federal investigation, first reported by Bloomberg News. A spokesperson for the FBI in Boston, Kristin Setera, said, "the FBI cannot confirm or deny the existence of an investigation." An official with the DOT IG likewise said they could not confirm or deny the existence of an investigation. But in addition to information provided by sources familiar with the investigation, internal FHWA emails released to ABC News through the Freedom of Information Act show that agents from the DOT IG - tasked with investigating fraud, waste and abuse within DOT agencies - had been observing controversial crash tests conducted on the ET-Plus in December and January, though their presence was not publicized. Is this device making guardrails dangerous?